Like it or not, the legal retailing of cannabis in Canada is soon to get underway. As of Oct. 17, a whole new business sector based on cannabis sales through licensed outlets – with all the much-discussed pros and cons – will start operating across the country. Much of the discussion ahead of this ground breaking launch has focused on pros like a predicted reduction in organized crime, and cons like the possible increased access to cannabis by underaged users. The federal Cannabis Act will allow for the legal use of marijuana anywhere in Canada, but each province and territory will set their own restrictions and regulations regarding the sale, distribution and consumption of the drug. Further off the radar are considerations for a tourism sector that has a basis in cannabis. While these prospects remain undefined for some, they are increasingly a subject of discussion by tourism stakeholders, and offer a bullish business outlook for a specialized segment of operators. “Yes, of course, we have considered cannabis tourism as an incredible opportunity for the industry,” said Caitlin O’Hara, a communications specialist for Canopy Growth Corp. It has taken the first steps on that side of the business plan by opening up a visitors centre – one which originally had an established popularity in an entirely different industry. The Canopy headquarters in Smiths Falls, Ont. was formerly a Hershey’s chocolate factory. It conducted tours through its visitors centre, attracting up to 500 guests per day. Hershey’s would sell products on site to tourists, generating profits of $4 million per year, said O’Hara. As such, Canopy has repurposed and remodeled the Hershey’s visitors centre, with a view to generating that same sort of success. The potential new revenue stream offered by tourism is inevitable, and will develop momentum based on traffic that is already established, said the president of a national cannabis retailer. Tourists from around the world visit the stores, but the location in Vancouver’s trendy Yaletown sets the bar for popularity. This summer has seen line-ups at the Yaletown location, and business there has been energized by the opening of a “dab bar,” which acts as a sort of shooter bar for patrons. Weeds currently has locations in five provinces, including B.C., Alberta, Saskatchewan, Manitoba and Ontario. The chain is on a fast track to expansion and the store count will jump from 19 to over 30 in the coming months. But there will be caveats and exceptions to the growth trends that are being predicted by pot retailers working at the grassroots level. Less convinced of a potential success curve for cannabis tourism is Greg Klassen, who operates the tourism industry consultancy, Twenty31.org in Vancouver. For instance, the novelty of cannabis tourism may be wearing thin, given the evidence of pot tourism trends in Amsterdam, the acknowledged world pioneer in this segment. “They have had this model in place for decades. With a ‘first-mover’ status that far preceded other places, they have owned the perception of this market for a long time and have had time to develop it fully,” said Klassen. More fundamental challenges await as well – especially if cannabis tourism operators seek a path to the mainstream of tourism, says an industry stakeholder. Cannabis tourism may establish itself in a few places that have already formed a connection with the recreational use of marijuana. said Walt Judas, the CEO of the Tourism Industry Association of B.C. (TIABC). Towns like Whistler and Canmore, Alta., or a region like B.C.’s Sunshine Coast may blaze those marketing trails. But whether success at this level can translate to more general, mainstream acceptance is the big question for the sector, said Judas. The probability for that happening is slim, he said. “For example, I don’t think it [cannabis tourism] would become a [marketing] pillar for Tourism BC,” said Judas. “It may not even be part of a provincial marketing campaign,” he speculated. Even at the community level, there is an essential element needed for the success of any such venture – and that is approval or endorsement by the citizens, said Judas. “Any company that contemplates this path better have the blessing of the residents,” he said. 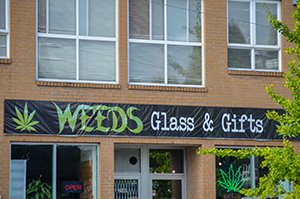 The east Vancouver location of Weeds, a national cannabis retailer with sights fixed on the potential of cannabis tourism. Vancouver may be the epicentre of Canada’s cannabis culture, but it has issues that are more specific to a big city vs. a smaller community. That is, the wave of leisure tourists and corporate visitors that come into Vancouver each year (a record 10.3 million in 2017) is widely diverse in terms of nationality, demographics and perspective. And some just don’t like the casual acceptance of cannabis in the city. As a former marketing executive at Tourism Vancouver, Judas has had plenty of interaction with visitors, including conventioneers, conference attendees and other corporate arrivals. His point is that a destination with a pro-cannabis outlook might ultimately discourage more people from visiting than attracting them. Having said that though, Judas said “you would have to be naive to suggest that this won’t happen.” For example, tourism products like a “Cannabus” tour bus, and a pot-friendly lodge were suggested at the TIABC annual Tourism Industry Conference held in Kelowna in March. And Klassen at the Twenty31.org consultancy says he suspects this might be a good opportunity for the meetings and events industry to look at opportunities for hosting international cannabis business conferences. Some U.S. states have legalized the consumption of marijuana-based products, and have devised strictly defined and licensed retail infrastructures to distribute those products. While these are principally designed to serve state residents, they have also inevitably been accessed by visitors. Despite that, the state of Colorado has not embraced legal cannabis as a tourism strategy, said Cathy Ritter, director of the Colorado Tourism Office. That is because it would be a federal offense to promote cannabis tourism outside of the state, given that cannabis remains illegal under federal law, said Ritter. She also pointed out that the number of people who travel there primarily for a cannabis experience remains a relatively small visitor segment – “and we aim for bigger traveller audiences,” she said. “With the decline in visiting a dispensary, even more visitors said legal marijuana had no influence on their decision to visit. With so many more states legalizing recreational marijuana, the availability in Colorado has become less of a novelty,” concluded the study. A sign that there is more widespread interest in this burgeoning sector is the inclusion of cannabis tourism presentations in the agendas of professional tourism trade conferences in Canada. 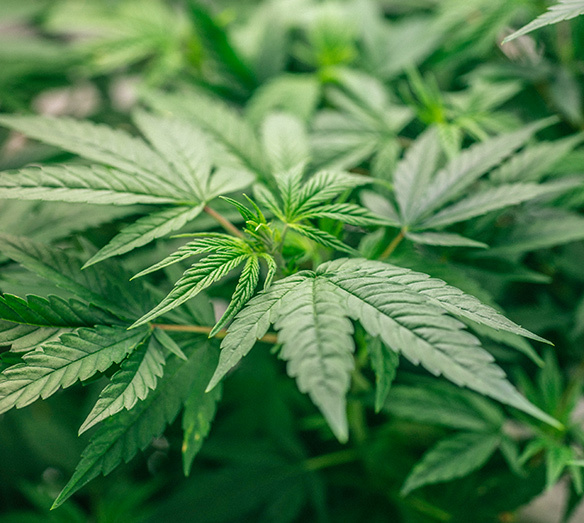 For instance, the subject of cannabis tourism was centre stage during a session at the TIABC annual Tourism Industry Conference in Kelowna this year. And the same subject will be explored at a session during the annual Congress of the Tourism Industry Association of Canada (TIAC). “There are lots of questions from the industry and we are monitoring the cannabis issue,” said Charlotte Bell, president and CEO of TIAC, who confirmed that an informative session on cannabis tourism would be included at the Congress, which will take place Nov. 27 and 28. 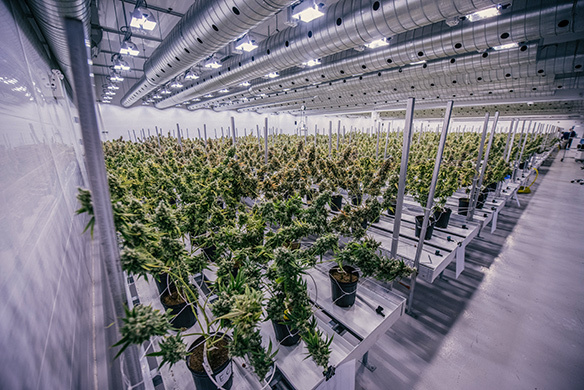 “It’s certainly early days for cannabis in Canada, and how provincial and territorial legislation is rolled out will definitely impact this segment and business planning,” said Vince Accardi, director of policy and stakeholder relations for TIAC. The cannabis tourism session at the congress will be titled “Taking Tourism to New Heights: Cannabis, The Game Changer.” It will feature presentations by Trina Fraser, partner at Brazeau Seller Law, and Mark Zekulin, president of Canopy Growth Corporation.